In 2015 during the Cannes Film Festival in France, Uber, the San-Fransisco car sharing service offered guests helicopter taxi services. The service was offered in collaboration with French helicopter firm Helipass throughout the Cannes Film Festival that lasted between May 13 to 24. The service allowed guests to catch a ride from the Nice-Côte d’Azur airport to Cannes for about 160 euros for the 7 minutes ride. 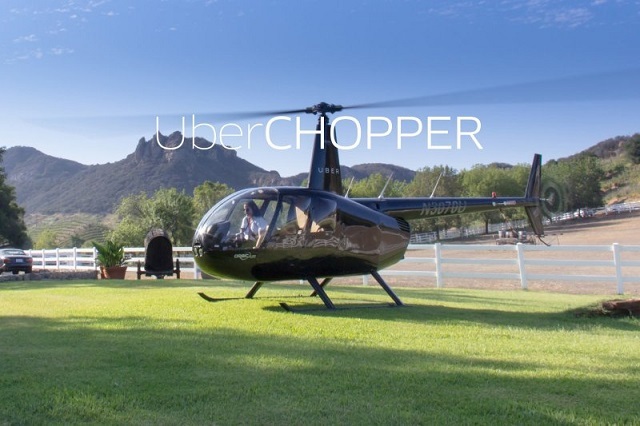 During the festival, UberFrance integrated the service to its app by adding a separate icon with a chopper logo. A user would hail the chopper as they do with a ride, and then wait for the next available ride which took 15 minutes to take off. Helipass offered seven helicopters on a permanent rotation with each offering 3 to 6 seats. The service in Cannes was a success. Prior to that, in 2014, Uber offered a private jet service for guests modelled on its Uber Black service. The service charged 6,490 euros ($8,930) per plane which flew up to four passengers. Since then, Uber has been testing the Chopper service where one can reserve a helicopter flight. The tests took place in the cities of San Francisco, Los Angeles, New York as well as in the countries of South Africa, Brazil and Australia, where helicopter flights are more common. According to CNBC, Uber is partnering with Airbus for a pilot project testing on-demand helicopter services. Airbus is to invest $150 million into the project thus allowing user to hail choppers as they do cabs. The service will pilot at the SunDance Film Festival.